Many of us now take full advantage of a sat nav device in our day-to-day driving as well as when we venture further afield. However attached you may be to the questionable pleasures of unassisted navigation, there are times when the benefits of a good sat nav setup are impossible to dispute. For many of us it’s hard to imagine how we ever managed before sat nav technology arrived to save us from navigational chaos! 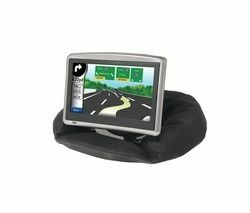 Our sat nav range includes Garmin sat nav accessories and TomTom sat nav accessories that will further enhance your sat nav experience and help keep your trusty navigational assistant in tip top working order. Popular sat nav accessories include staples like adhesive dashboard disks that will ensure your TomTom doesn’t lose its grip mid journey and the TomTom GPS Sat Nav Traffic Receiver, which dramatically enhances your TomTom by providing real-time traffic updates. Enabling you to dodge traffic jams and check for alternative routes, the Traffic receiver is a sat nav accessory that can make a serious difference to your day-to-day driving. 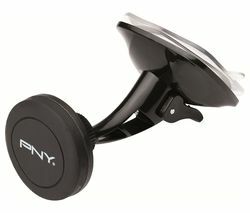 Our sat nav accessory collection also includes a wide variety of chargers, adaptors and mounts for both Garmin and TomTom sat nav devices.